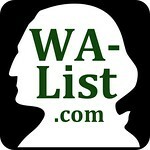 WA-List is the place for lists about anything and everything Washington State. Explore the site! 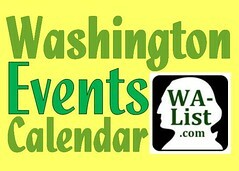 WASHINGTON EVENTS CALENDAR with festivals, fairs, concerts, and more. State & county FACT SHEETS. Ads are kept to a minimum on the website. They help sustain the site and hopefully serve some of your needs, too. Bellingham: The Herald. Everett: The Herald. Olympia: The Olympian. Port Angeles: Peninsula Daily News. Seattle: KOMO-4, KING-5, KIRO-7, KCPQ-13, Post-Intelligencer, The Times. 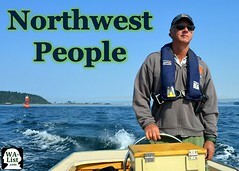 My Northwest, Puget Sound Business Journal. Spokane: KREM-2, KXLY-4, KHQ-6, Spokesman-Review. Tacoma: The News Tribune. Tri-Cities: KEPR, KVEW, Herald. Vancouver: The Columbian. Walla Walla: Union-Bulletin. Wenatchee: The World. Yakima: Herald-Republic. Northwest: Northwest Cable News. *The WA50 (Washington Index of 50 stocks) is a mathematical experiment of ours. We selected 50 Washington-based companies, weighted their various stock prices by market cap, and set their collective value at 2000.00 as of start of day January 1, 2017, in order to approximate general growth of publicly-traded Washington-based businesses. We are not a broker; this is not an ETF or a security, these price values are not live-streaming. We re-analyze the stock prices monthly. The performance of the WA50 basket of Washington stocks so far: start of year 2000.00, end of Jan 2027.86, end of Feb 2084.60, end of Mar 2092.38, end of Apr 2151.69, end of May 2162.25.